And so it was done. Right then. Right there. The portrait depicts President Roosevelt standing at the foot the stairs with his hand on the newel post. It still hangs in the White House today and it is considered by many to be the best painting of President Roosevelt ever done. Thirteen years ago, a small group of women in Ocala, Florida decided they wanted to do something to help in the fight against breast cancer. They shared the same philosophy as President Roosevelt. Now is the time, seize it and do your best. They formed an organization named Bunco Babes of Ocala and later partnered with Michelle-O-Gram, a non-profit organization in Dunnellon that pays for recommended mammograms for women who do not have insurance or money to pay for them. The Babes soon expanded their regular Bunco game night into a larger event, publicized it and invited members of the community to come, play Bunce and raise money to be donated to Michelle-O-Gram. And come, they did … by the hundreds as evidenced by the crowd at the 2018 event held in the Banquet Hall of the Southeastern Livestock Pavilion. I’m told that the annual Bunce Babes event has raised over $100,000 over the last eight years that has been donated to Michelle-O-Gram. 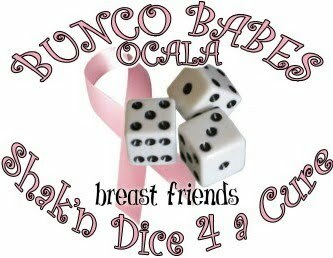 The original Bunco Babes of Ocala still organizing and participating in the annual Michelle-O-Gram Bunco Tournament are: Candy Homan, Lori Zirkle, Leasa Byard, Tricia Taylor, Angela VanRyn, Kaye Dees, Stacy Carroll, and Melanie Bozeman. Other women have joined them and work hard to make this special event the success that it is. Thanks to the efforts of these dedicated women, Bunco Babes of Ocala, the support of the Ocala/Marion County community, the Michelle-O-Gram organization and the like efforts of many other organizations around the country with a “Now is the Time” philosophy, the fight against breast cancer is being won … by funding early detection and rapid advances in medical treatment. 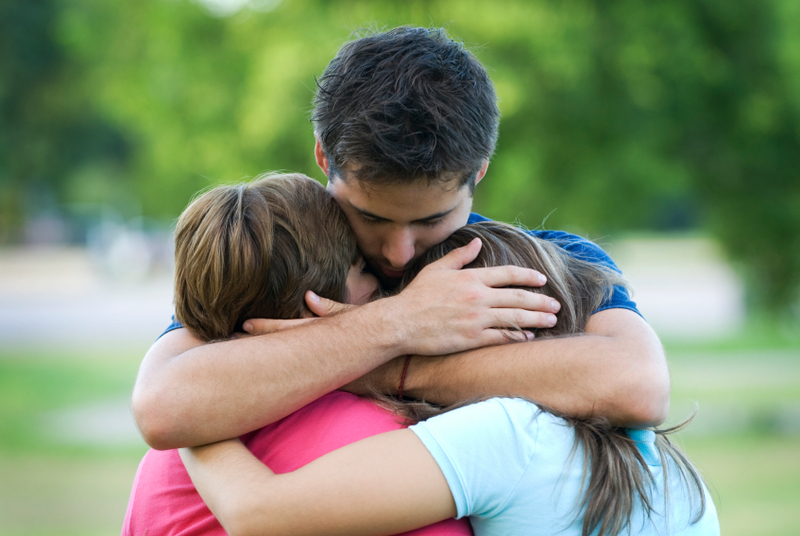 We will never know the exact number of lives saved and women and families spared from the suffering of advanced breast cancer, but we do know it is many. And maybe in the not-too-distant future when we talk about breast cancer, we will be talking about it in the past tense. 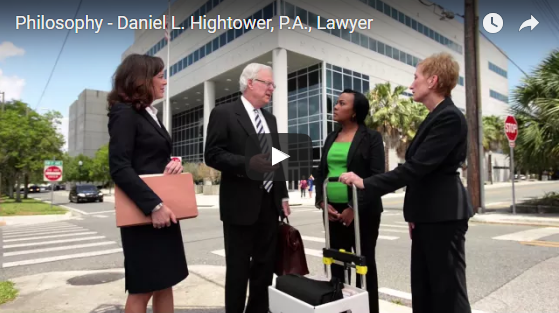 When a motorcycle accident happens in Florida, which parties involved may be held responsible? 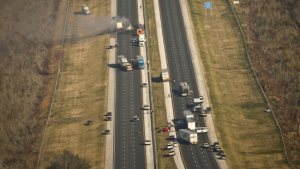 What is the time frame to bring an injury or death case based on a truck accident? 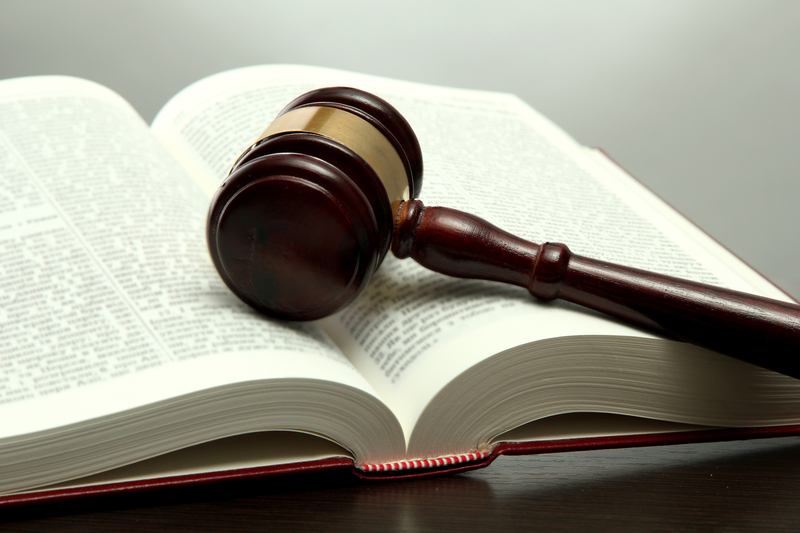 Will I be paid for the time I lose from work because of my work injury? 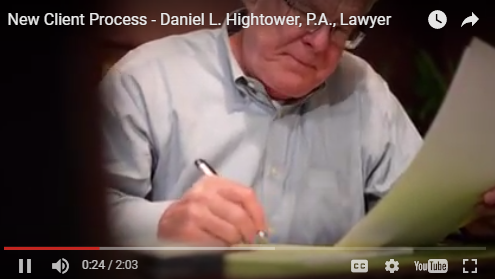 We invite you to watch the following video to learn more about the philosophy of Daniel L. Hightower, P.A., Lawyer…. 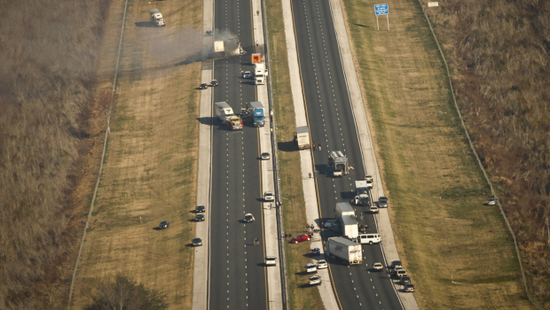 Are there any additional safety laws related to trucks and truck drivers?